 At PCU, we deliver 360-degree integration. It’s our promise that you’ll get a top-to-bottom, start-to-finish custom approach that gives you operational transformation, dedicated experts committed to solving your process challenges, and unmatched service. What does this mean for you? It means you have a partner focused on the safety, quality and reliability of your manufacturing process while also driving the future of factory automation and robotics. Are you ready to transform your operations to be more ergonomic, efficient and modern? PCU is ready to work with you. Contact us and make today the day that you have true 360-degree integration. Are you ready for 360-degree Integration? We’re ready to partner with you. Make today the day you start to transform your operations. © Production Control Units, Inc. All Rights Reserved.